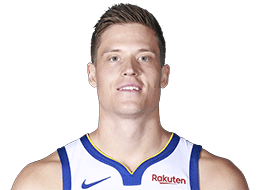 From Sweden to the NBA, get to know the backstory of Jonas Jerebko! Appeared in 64 games (zero starts) in his fourth NBA season, averaged 4.2 points, 2.7 rebounds and 0.6 assists in 11.6 minutes ... Tied season-highs in steals (2) and blocks (1) at Atlanta (4/8)…Tied a career-high four assists at Brooklyn (4/4)…Recorded a career-high-tying 22 points and recorded season-highs in rebounds (9) and minutes (27) at L.A. Clippers (3/22)…Recorded his 200th career game at L.A. Lakers (11/17). 2012-13: Appeared in 49 games (two starts) averaging 7.7 points (.449 FG, .301 3FG, .773 FT), 3.8 rebounds, 0.9 assists, 0.8 steals and 18.2 minutes per game…Scored 10-plus points 15 times and 20-plus three times…Led the team in scoring five times and in rebounds twice…Scored season-high 21 points twice [vs. Atlanta (2/25) and vs. Charlotte (4/12)]…Grabbed season-high nine rebounds vs. Chicago (4/7) and tied his career-high four assists vs. Memphis (2/19)…Tied his career-high four steals at Charlotte (3/23)…Recorded career highs in free throws (7) and free throws attempted (9) at L.A. Lakers (11/4)…Shot 50% or better from the field in 27-of-49 games… Enjoyed his best month of the season in April when he averaged 12.4 points and 5.0 rebounds while shooting 55% (36-65) from the field…DNP-CD 33 times. 2011-12: Appeared in 64 games (13 starts) averaging 8.7 points (.468 FG, .302 3FG, .806 FT), 4.8 rebounds, 0.7 assists and 0.6 steals in 22.9 minutes per game…In 13 starts, averaged 9.8 points, 6.0 rebounds, 0.5 assists and 0.7 steals in 29.1 minutes per game…Led the team in scoring five times and in rebounding four times…Scored 10-plus points 26 times and 20-plus three times (Pistons were 3-0 in those games)…Grabbed 10-plus rebounds three times and recorded one double-double…Tied career-high 22 points (9-12 FG) at Charlotte (1/13) and grabbed seasonhigh 12 rebounds twice [vs. Indiana (12/31) and at Washington (3/26)]…Recorded career-high 11 defensive rebounds vs. Indiana (12/31)…Dished out season-high three assists twice [vs. San Antonio (2/14) and vs. Charlotte (3/31)]…Averaged 10.5 points in Pistons wins and 7.5 points in losses…Shot 50% or better from the field 29 times and shot a single-season career-high .806 from the free-throw line…DNP-CD twice. 2010-11: Missed the entire 2010-11 regular season after suffering a partially ruptured right Achilles tendon in the first preseason game at Miami (10/5)…Spent the season on the inactive list. 2009-10 (Detroit): Appeared in 80 games (73 starts) averaging 9.3 points (.481 FG, .313 3FG), 6.0 rebounds, 0.7 assists and 0.99 steals in 27.9 minutes per game…Among NBA rookie leaders ranked third in rebounds (6.0 rpg), fourth in blocks (0.36 bpg), fifth in minutes (27.9 mpg), eighth in steals (0.99 spg) 10th in scoring (9.3 ppg) and T-18 in assists (0.7 apg)…Played in a team-high 80 games…His 73 games as a starter ranks second in franchise history amongst rookies behind Kelly Tripucka who started all 82 games during the 1981-82 season…Led the team in scoring five times and rebounds 14 times…Ranked second on the team in offensive rebounds (194) and defensive rebounds (284)…Scored 10-plus points 36 times and 20-plus points on three occasions…Grabbed 10-plus rebounds 11 times and tallied a team-high-tying seven double-doubles (Pistons 4-3 in those games)…Was named Eastern Conference Rookie of the Month for February averaging 10.2 points (.564 FG), 6.0 rebounds and 1.0 steals in 13 games…Became the fifth rookie in franchise history and the first second-round pick of the Pistons to win the Rookie of the Month award (Isiah Thomas, Kelly Tripucka, Grant Hill, Zeljko Rebraca)…Versus the L.A. Clippers (11/27) he and fellow rookie Austin Daye became the first pair of rookies to start a game for Detroit since Lindsey Hunter and Allan Houston vs. Philadelphia on April 24, 1994…Scored a career-high 22 points (8-11 FG, 4-4 3FG, 2-3 FT) with five rebounds and one assist in 34 minutes vs. L.A. Clippers (11/27)…Tallied a career-high 13 rebounds three times [at Milwaukee (2/9), at New York (3/3) and at Minnesota (4/14)]…Dished out a career-high four assists at Philadelphia (4/6) and blocked a career-high three shots vs. Houston (3/7)…Played a career-high 44 minutes in the season finale at Minnesota (4/14)…Was selected as a member of the Rookie Team as part of the 2010 T-Mobile Rookie Challenge and Youth Jam at NBA All-Star 2010 and scored six points with three rebounds...Scored in double-figures in a season-high four consecutive games twice during the season (12/4-12/10 and 2/10-2/19)…Grabbed double-digit rebounds a season-high three consecutive games (3/2-3/5)…In 35 games where he played 30-plus minutes, averaged 11.7 points (.462 FG, .344 3FG, .741 FT), 7.6 rebounds, 0.8 rebounds and 1.06 steals in 35.0 minutes per game…Averaged 10.2 points per game and shot 49.2% from the field in home games compared to 8.2 points per game and 46.8% from the field in road games…Recorded his best offensive months of the season in December and March, averaging 10.2 points in 15 games in each month…Missed the opening game of the season due to NBA suspension and DNP-CD once [vs. Oklahoma City (10/30)]. 2008-09 (Angelico Biella): Averaged 9.0 points, 5.5 rebounds and 25.4 minutes per game playing in Italy…Scored 17 points vs. Fortitudo Bologna…Recorded 16 points in back-to-back contests vs. Scavolini Spar Pesaro and Virtus Bologna…Posted 11.8 points and 9.3 rebounds in 29.3 minutes for the Swedish National Team in the qualifying round of EuroBasket 2009. 2007-08 (Angelico Biella): Posted averages of 5.1 points and 3.3 rebounds in 16.3 minutes his first season playing in Italy…Played in 33 games (26 starts)…Contributed 19.4 points and 10.7 rebounds for Sweden in the Under-20 European Championships. 2006-07 (Plannja Basket Lulea): Averaged 10.0 points and 5.0 rebounds in 22 games for Plannja Basket Lulea in the Swedish League…Posted averages of 11.1 points and 6.4 rebounds in the Under-20 European Championships. 2005-06 (Boras/Marbo Basket): Averaged 20.0 points, 11.6 rebounds and 2.6 blocks in 19 games with Boras/Marbo Basket in the Swedish League…Averaged 7.4 points, 8.1 rebounds and 19.6 minutes in the Under-18 European Championships. Selected by Detroit in the second round (#39 overall) of the 2009 NBA Draft. Full name is Jonas Jerebko, pronounced (Joe-nass Jeh-reb-ko)…His father, Chris, played basketball for Syracuse University from 1977-81 and played professional basketball in Europe…Active in the Detroit community, took part in the 2010 Pistons Cares Telethon by promoting the event during a series of morning radio interviews and helped raise over $405,000 for the Food Bank Council of Michigan…Also made appearances during the Pistons 2009 Community Relations Kick-Off Event where the club teamed with Samaritan’s Feet to distribute over 1,500 pairs of shoes to needy youngsters in Detroit as well as holiday food distribution events with Feed The Children during Thanksgiving and Christmas holiday seasons…Teamed with Austin Daye for a special ticket section called “The Rooks” in which deserving youngsters in the Detroit Metro area could come and enjoy NBA basketball first hand at all home games…Is an avid hockey fan and enjoys spending time with Detroit Red Wings Swedish players Tomas Holmstrom, Henrik Zetterberg, Niklas Kronwall and Nicklas Lidstrom…Enjoys golf – a sport he played as a teenager growing up in Sweden.